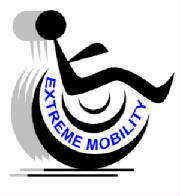 Extreme Mobility, Inc. offers a wide variety of products from a number of specific manufacturers to assure you of getting the most appropriate equipment for your needs. We do all necessary research and specify only the best possible solution for your mobility needs. Working closely with your doctor and, or therapist to be sure your new equipment will meet your specific needs. When we deliver your new equipment or when we modify or update your current equipment, you become a member of the Extreme Mobility family. We're dedicated to help you live your life to the extreme.